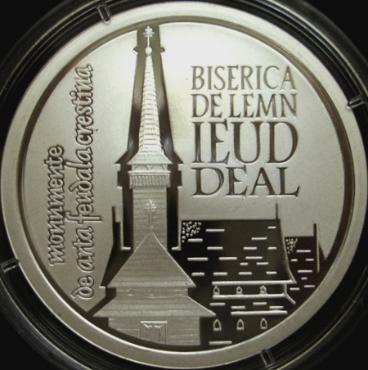 The 5 lei 2006 silver coin (with the wooden church of Ieud-Deal) pictures above are present on the site through the kind permission of Mr. Radu Lissner. The coin belongs to the series Christian Feudal Art Monuments. 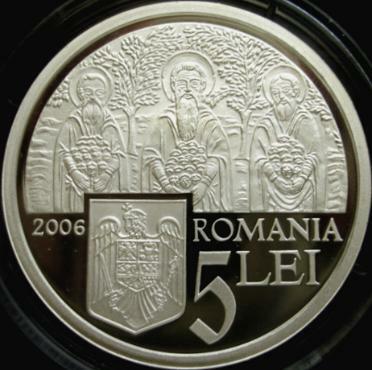 To the same series belong the 500 lei from 2002 gold coins with Bistriţa Monastery (from Moldavia), Mogoşoaia Palace and with Colţea Church, the 500 lei from 2004 silver coins with the Monasteries Three Hierarchs from Iaşi and Cotroceni from Bucharest, three silver coins of 10 lei issued in 2008 with the monasteries of Cozia, Voroneţ and Sîmbăta de Sus, three silver coins of 10 lei issued in 2011 with the church of Strei and monasteries of Humor and Hurezi and the 10 lei 2013 silver coin with the wooden church of Rogoz. Ieud is a commune in the Maramureş county, in the northern slopes of the Ţibleş Mountains. In 1976 Ieud had about 5000 inhabitants. The Ieud village was mentioned in a diploma from 1365. 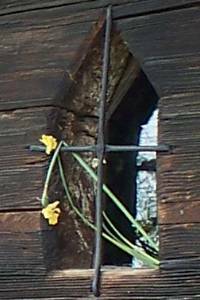 The village has two wooden churches - Ieud-Deal and Ieud-Vale (Ieud-Hill and Ieud-Valley). The diploma given on February 2nd 1365 by Ludovic I, king of Hungary, to the Romanian nobleman Balc and his brothers (all sons of Sas and grandsons of Dragoş, the first ruler of Moldavia) contains the first mentioning of Ieud. The same diploma is in effect the confirmation of the independence of the Bogdan the Founder's Moldavia from Hungary. A quotation from this diploma is given below. "We [...] give him a fief named Cuhea, in our country of Maramureş with the villages Ieud, Bascov, the two Vişău, Moiseni, Borşa [...], with all their pertainings, namely waters, forests and mountains and whatever belongs to them, fief that we have taken from Bogdan voivod and his sons, our notorious disloyal." The legend presumes that the church on the hill was built in 1364, but it is sure that the church was reconstructed in the 18th century. 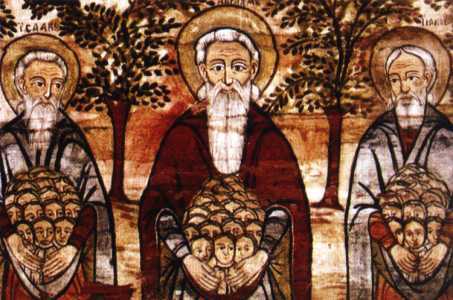 It was dedicated to the Nativity of the Most Holy Mother of God. 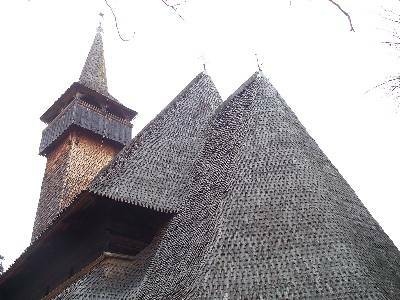 The church of Ieud-Deal and other seven wooden churches of Maramureş were included in 1999 in the UNESCO World Heritage sites list. In the garret of this church the codex of Ieud was found in 1921, featuring a very old writing in Romanian. The manuscript was dated by some researchers back in the 16th century. Other researchers believe that the manuscript is from 1391, being anterior to the letter of the boyar Neacşu from Cîmpulung, the first known Romanian writting yet. 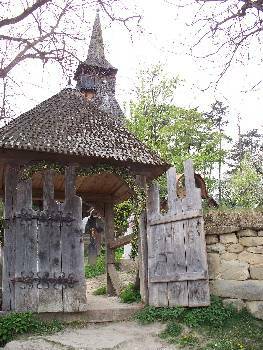 In the 14th century were also built the Maramureş churches from Peri, Cuhea, Apşa de Mijloc, Sarasău, Bîrsana and others. 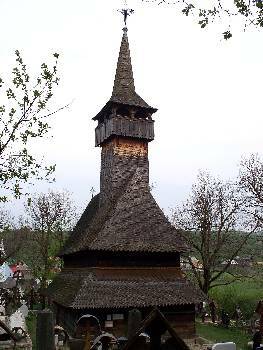 The wooden church from the valley was built in 1717 and was also dedicated to the Nativity of the Blessed Virgin Mary. Dinu C. Giurescu wrote in Istoria ilustrată a românilor (Illustrated History of the Romanians): "The Romanian wooden establishments from Transylvania, reconstructed mainly after 1700, join volumes, surfaces and lines in ensembles of extreme harmony, elegance and equilibrium; the tall roof, with swift slopes, is continued with a tower that end with another roof, with arrow head shape. [...] the establishments from Transylvania are clearly individualized and represent a major realization of the gendre, at continental scale." Special thanks for the pictures from Ieud to Mr. Cristi Apetrei. The church was painted around 1782 by painter Alexandru Ponehalschi from Berbeşti - Maramureş, directly on the wood. At the wood joints and in the zones with level steps the painting is made on cloth. Some pictures with paintings from the wooden church of Ieud-Deal can be found on the CIMEC site. Press here to see them. The picture fragment on the coin is probably a small part of the representation of the "Last Judgment". The painting book of Dionisius of Furna describes in detail the "Last Judgment". We quote a fragment that refers to the image represented on the coin: "... and looking, together with the merciless rich, Abraham's bosom, that lies far in front of them [...] and again the paradise with all the saints cheering inside [...] adorned with marvelous trees and all kind of birds [...]".